Justin Alexander collection touches upon many designs elements while maintaining a cohesive and thoughtful aesthetic. For couture wedding gowns with classic silhouettes, browse through our wide selection of styles from Justin Alexander Bridal. Soft and romantic floral details add classic sophistication, while linear beading is complemented by modern clean styles with architectural shapes. Sparkle embellishments, new and interesting skit details, and preppy chic silhouettes make this designer couture wedding collection our most exciting yet. 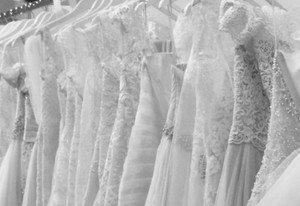 As one of the premiere bridal shops in the Upstate SC, we have knowledgeable consultants who will help you find the wedding dress of your dreams for the wedding of your dreams. 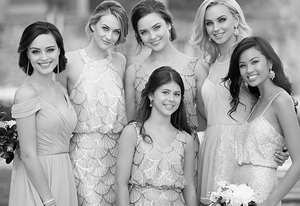 Justin Alexander Bridal manufactures fine wedding gowns for every body type and taste. Choose from gorgeous couture wedding gowns that evoke fairytale dreams, 20's-style mermaid dresses, tea-length dress, ball gowns, gowns embellished with beads and lace, strapless styles, and ruched bridal creations that will show off your curves to the best advantage. All of these gorgeous dresses are made with fine satins, silks and taffetas. You won't find any other bridal shops in GSP SC that will give you such attention to detail in finding the perfect couture wedding dress that will make you look and feel like a queen.